I cannot believe it’s near the end of January and our next holiday is nearly upon us: Valentine’s Day. One of my very favorite holidays due to the delicious candy I shouldn’t be eating, I also love what it stands for; reminding the people you love the most how much they mean to you. Now typically when it comes to Valentines, my kids (like most kids) bring cards or candy to pass out to friends. That’s all good and well but its so easy to make your own at home. You can put some actual thought into them and customize them towards friends even easier with free valentines day printable cards. 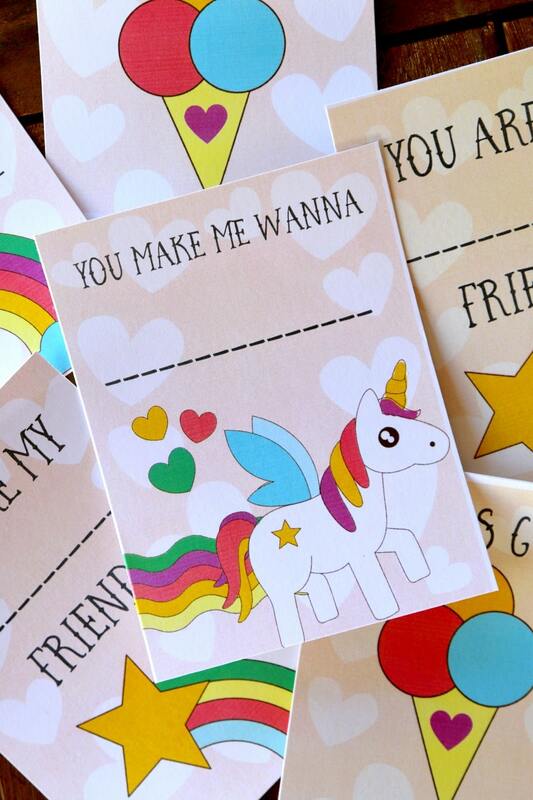 Taking two of my favorite things, unicorns and rainbows (what can I say, I’m predictable), these cards are so easy to print and pass out for some really silly fun. We partnered with Pentel as part of an Influencer Activation for The Brand Connection and all opinions expressed in my post are my own. Download these free Happy valentines day printable in an easy to print PDF. They come in two colors and YOU get to fill out exactly what you want to say! The great thing about these super fun ad lib valentines is that they are also the perfect way to practice handwriting! I can remember having to sign my name 100 times to Valentines as a kid and yes, that gives great practice on your name, but it’s so much more productive to add some varying words- for the writer and the reader! There are a trillion types of pens, pencils, and even watercolor markers out there from Pentel to really make this a lot of fun! My 5-year-old and 12-year-old love getting creative and Valentines is not like school work. 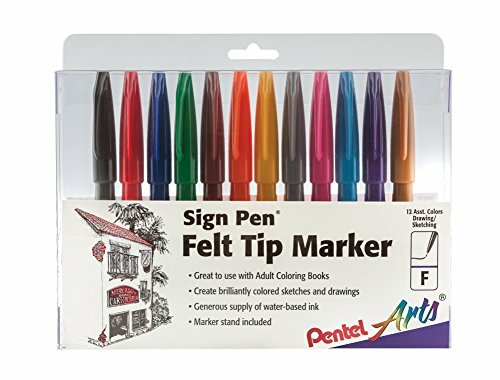 For this project, we found the Pentel Felt Tip Sign Pen (they come in a pack of 12) had a great ink flow, came in a lot of fun colors, and were perfect for this project. 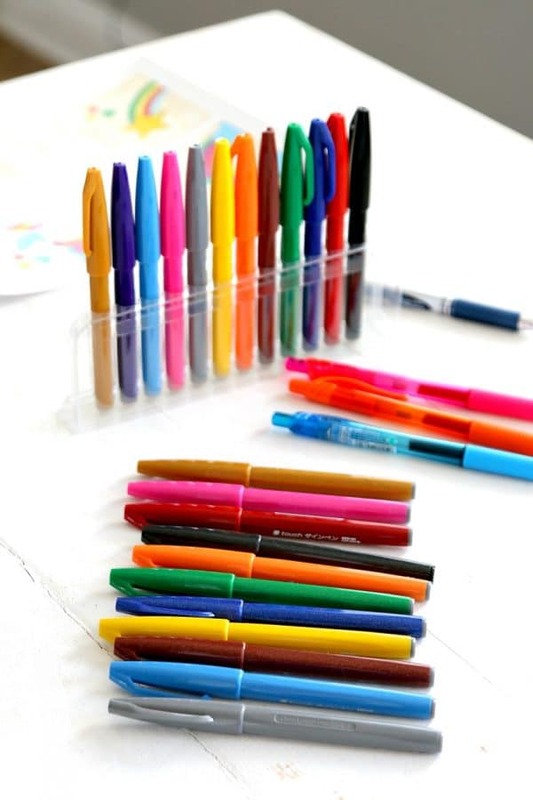 <—-You can see more awesome pens that get your kids (and yourself!) super excited about writing at Pentel. We’re giving away over $1600 in prizes for all your creative lettering projects! *US only, must be 18 years old*Lettering Books, Lettering Books For Kids, Stationery, Stamps, Blank Cards, and 5 backpacks filled with Pentel products (valued up to $250 each), and a $250 Visa gift card! DON’T FORGET YOUR VALENTINES DOWNLOAD!